It’s that time of year again- back to school shopping time. Even though I no longer have a school-aged child, I still love taking advantage of all the back to school deals and checking out the new products. This post is sponsored by Best Buy, however, all opinions are 100% my own. If you are ready for a new laptop, be sure and check out the HP Envy x360 laptops that are currently on sale at Best Buy. My job wouldn’t be possible to do without my laptop so I’m always on the lookout for a laptop that can handle all my needs and make my job a little easier. One of the HP Envy x360 laptops is just what I need. 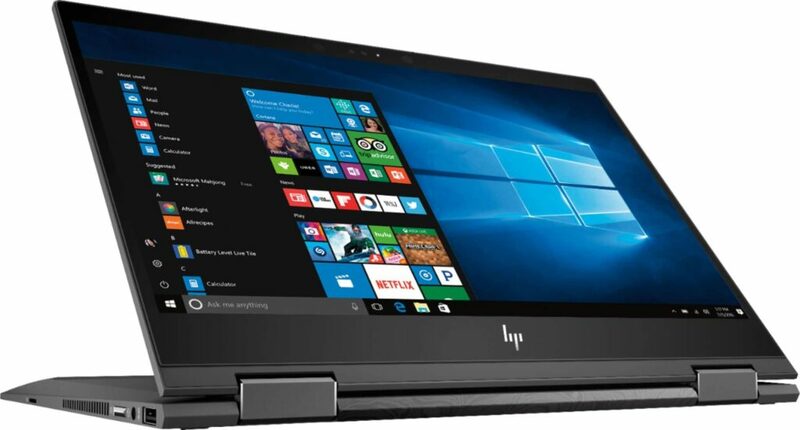 The HP Envy x360 laptops are touchscreen laptops that have a 360° flip-and-fold design which allows them to function in laptop, audience, tabletop, presentation and tablet modes. These 2-in-1 devices come with a Windows 10 operating system that brings back the Windows 7 Start Menu while adding the Edge Web browser and other new features. HP Envy x360 laptops also have Windows Ink capabilities enabling the use of a stylus for writing on the screen or you can use your finger too. I love the clarity and striking colors of the HD touchscreen created by the 1920 x 1080 resolution and that the WLED backlight is energy efficient. But my favorite feature is the HP Envy x360 laptop’s ability to handle multitasking. You can have multiple tabs open and easily run games and applications for photo/video editing thanks to its high-bandwidth RAM and 8GB system memory. 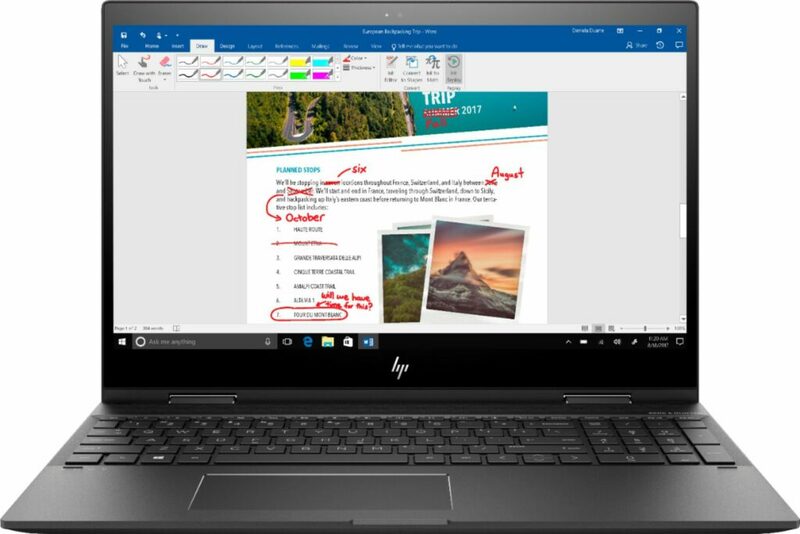 You can save $100 on HP Envy x360 laptops at Best Buy but only until July 28th, 2018 so place your order today. I’m still debating if I want the HP Envy 13in or the HP Envy 15in. 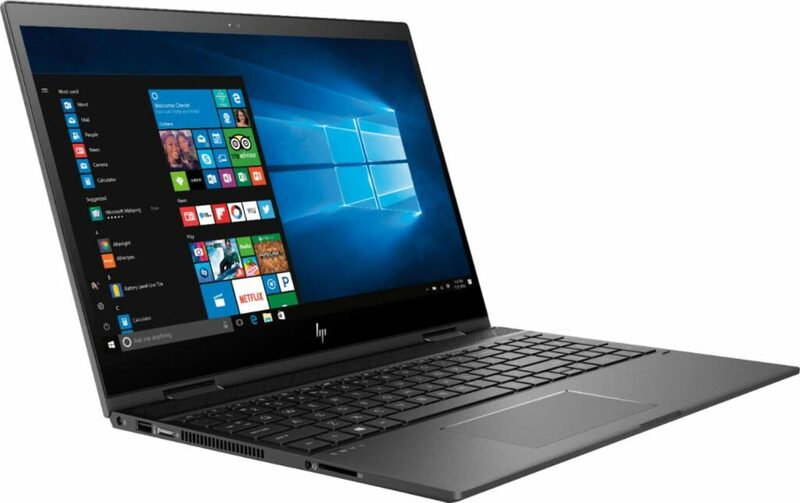 I’m leaning towards the HP Envy 13in because it will be easier to fit in my bag when I want to take it on the go but since the AMD processors make the HP Envy thin either option will be easy for me to carry around. Are you ready for a new laptop? Which size will you be ordering? Don’t miss saving $100!